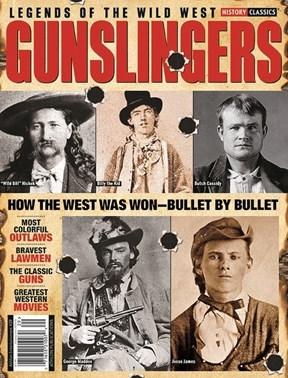 Dusty road shoot outs, bar brawls, damsels in distress—the taming of the Western frontier is one of the most colorful and fascinating periods of American history. In this beautifully illustrated and comprehensive collector’s edition, we bring the ruggedness of the old American West to life. Profiles include legendary outlaws like Billy the Kid, Black Bart, Jesse James and Butch Cassidy, as well as the brave men who brought them to justice, like Wyatt Earp and Doc Holliday.